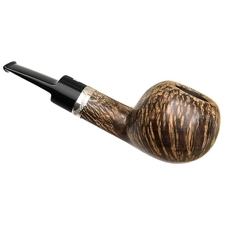 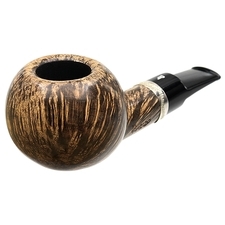 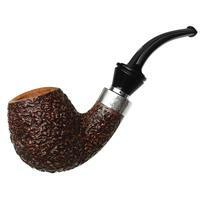 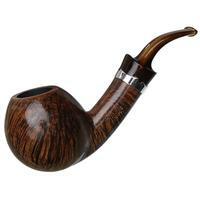 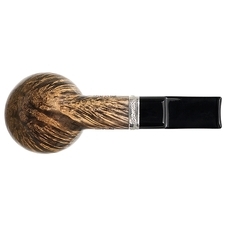 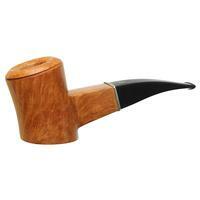 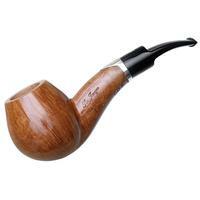 A plump, Italian style straight Apple with plenty of extra briar throughout, this chubby Rinaldo feels right at home in the hand. 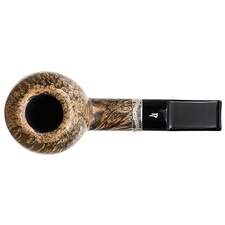 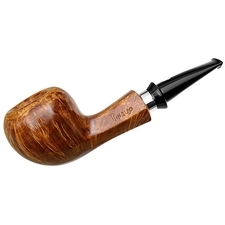 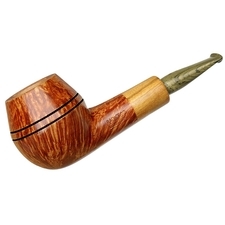 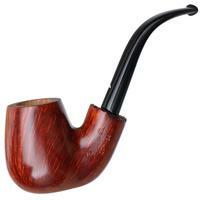 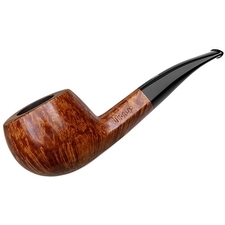 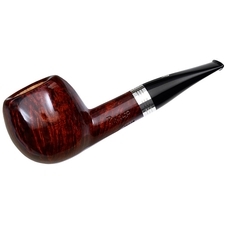 The extra visual weight added to the bowl is a fitting touch, as the chamber on this number is quite capacious, yet it's still balanced in profile due to its thick rounded shank and saddle bit. 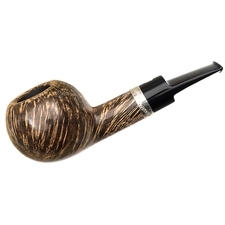 It's presented here in the light-medium contrast of the Triade finish and topped with a bit of Guido's stunning silverwork.